Are Energy Drinks Helpful or Hazardous? Every week, I have at least a few patients question me about the safety of so-called energy drinks. We’ve all heard horror stories about teens who have died from drinking excessive amounts of these popular beverages, and yet if we’re honest, most of us consume an “energy drink” of some sort or another every single day. And the fact that people are looking for an energy boost every day isn’t surprising, given that low energy is one of the primary health complaints I hear from my patients. Even if patients don’t come in with the primary complaint of fatigue, they come in with premenopausal symptoms, or with a cold and a report of fatigue. Society puts pressure on us to perform, perform, perform, and, even worse, we put our own pressure on ourselves to perform successfully without any chance of failure. This is really hard on our energy levels. There are many different descriptive words for that sensation of not being able to function to the degree which you’d wish. o They really helped me and picked me up. o I use them before I exercise. o I use them in the middle of the day. o I use them even in the evening, I use them on my swing shift. o I use them when I’m on night shift. 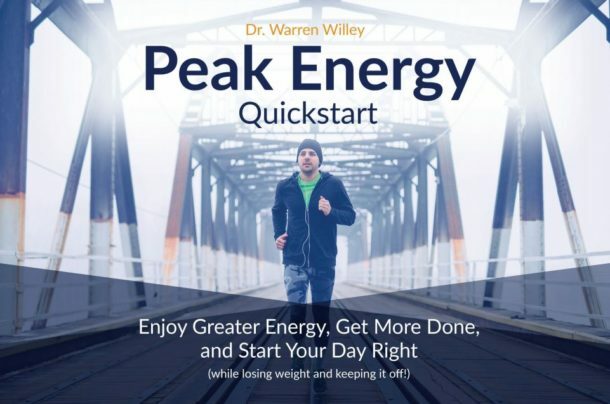 Energy, in this context, is the strength and vitality required to sustain physical and mental activity. Now, here’s another important point: Energy is a very personal thing. It is different for me than it is for you or for your neighbor, or the person driving in a car next to you. I could claim rolling out of bed is physical activity, and if I can do that, then my energy must be fine. Or, I could say running a marathon is my idea of adequate energy, with all the strength and vitality needed for this action from a physical, mental and emotional perspective. These activities are on very different levels, and very different physiological implications are being made. A way to look at energy is as a person’s physical and mental powers needed to get through an activity. It takes energy to consider getting out of bed, and then more energy to start walking, using the restroom and getting settled for breakfast. If we think of it in terms of mechanics, it’s a power, a drive from the utilization of physical or chemical resources. Energy drinks are chemical resources to improve our energy, and especially to provide the ability to do work. Energy drinks have been around a long time. Believe it or not, back in the 1800s there was an energy drink called Iron Brew that was designed originally by a Scottish company then brought to New York. It was then produced by the Maas & Waldstein chemicals company, became popular across North America, and was widely copied. Lucozade was a glucose-based solution, with large amounts of glucose, i.e. sugar. As a matter of fact, as of just a few years ago, Lucozade was produced in a 500 ml bottle, with 62 grams of sugar in it. It simply was sugar water. That was one of our original energy drinks. Fortunately, Lucozade’s content has been modified recently. We’re all familiar with the story of Gatorade, which arrived in the 1960s to aid in recovery for athletes and today is probably the most widely “acceptable” energy drink people let their young kids consume. If you were around in the 80s, you might remember the introduction of the energy drink Jolt, as well as the impact of its name as a verb. If you drank Jolt back then, it was just pure liquid caffeine in a bottle. And boy did it jolt you! But, then you also jolted right to bed because it made you crash like crazy. Energy drinks continued to grow into the huge market they are today. In 2018, energy drinks reached nearly $11 billion in sales, so if someone tells me they don’t consume energy drinks, I’m going to raise my eyebrows a little, because chances are you probably do drink an energy drink in one form or another, even if you’re not going out and buying them all the time. WHAT IS IN AN ENERGY DRINK? What’s in an energy drink now, and how does it affect you? The primary component and the word behind energy drinks is caffeine. Caffeine is what we call a methylxanthine. Caffeine, in particular, is named trimethylxanthine for its structure. It’s found in coffee, methyl bromide, aminophylline, and theophylline, which is a drug we use in asthmatic patients. Caffeine inhibits a chemical in your body called Adenosine, and it works in the brain to increase energy. Its actions are based on what we call a Beta receptor response, so it acts as a diuretic. It is a smooth muscle relaxant, so it opens up the lungs and helps you breathe better. It also stimulates the cardiac muscle making your heart beat stronger and faster, and it’s a central nervous system stimulant. That’s why we all love caffeine, and energy drinks are loaded with caffeine. Another popular ingredient is Tyrosine. Tyrosine is what I consider a semi-essential amino acid. Your body can’t make it. People who are heavy exercisers and are sick or diseased need more Tyrosine than others. It’s in most energy drinks. Interestingly, Tyrosine is Latin for the word “toro,” which means bull or ox. It’s never been proven as a stimulant or energy; however, it does act as what we call a Beta blocker in the body. This makes you less likely to have the side effects of the methylxanthine caffeine, including a rapid heart rate, anxiety, and sweating. So adding Tyrosine to energy drinks is both brilliant physiology and incredible marketing. 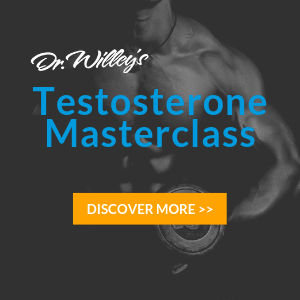 Now there have been some questions as to whether Tyrosine is safe. It’s never really been proven as unsafe. I think it is an important amino acid, and that’s why it’s included in energy drinks. It actually will counteract some of the negative side effects so you can drink and buy more. Some energy drinks contain vitamins. However, I tell people all the time, and this goes for protein drinks as well, to never ever, ever purchase a drink based on its vitamin content because it’s too minimal to make any difference. No, it’s not going to help you recover or change your life by drinking the small quantities of vitamins in those drinks, but just be aware they’re in there. The other ingredient that’s primary, unless you’re doing a sugar-free drink, is sugar. Sugar is loaded into energy drinks, and that’s part of the reason why when you drink one in the morning at 8:00 am to get up and get moving, you probably need another one by 11:00 am. By then, the caffeine is worn off, you’re crashing from that sugar, and your body’s begging for more. When your body sees that sugar, those calories and such a rapid basis of ingestion, the hormonal response is immediate and swift. Your insulin levels skyrocket. That causes a crash later, and it causes insulin resistance and depositing of those sugars into your behind, and your belly. Another important thing to consider with energy drinks is calories and the sweet taste. The RecoverMe opinion is that calories are not the end all of weight loss and weight gain. However, calories are important, especially if you’re drinking them. A lot of the dietary energy drinks still have anywhere between 3 and 10 calories. Coca-Cola has 100 calories in a serving. By comparison, water has no calories. So I’m going to give a quick pitch for water. Water is still the best thing to drink. Cost is also an issue. I’ve had patients tell me they drink a lot of energy drinks. Just a few months ago, I asked a patient to keep track of how much he spent on energy drinks each month. He spent hundreds of dollars a month and had no idea because he’d innocently stop by the quick mart in the morning half asleep, pay $6 for two energy drinks, and then repeat the same action later in the afternoon. Over 30 days, this added up to over $350! Adverse reactions to energy drinks include nervousness, irritability, and sleeplessness, especially. There are genetics behind the ability to process caffeine. You can actually do a genetic test on yourself to see what your ability is to process caffeine. If you’re a non-processor, drinking a Rockstar or Red Bull before noon will probably keep you up at night. I’ve also seen patients develop seizure disorders and heart arrhythmia. Gut upset is very possible, as is dehydration. If it’s a highly caffeinated beverage, and you’re not used to that caffeine and not replacing water sufficiently, and also exercising, it can dehydrate you and you can get yourself in trouble. Psychological addiction is also possible. For example, if I might feel that I perform better when I’m drinking my energy drink, that’s a psychological addiction and is why some people get into buying so many all the time. You have to question, how is all this stuff working in me? What are the long-term effects? What are the consequences? I may solve my perceived energy issues rather quickly with the energy drink, but what in the big picture is going to happen? Are energy drinks bad for me? What’s your hormonal response to other things? How is your overall health? How’s your nutrient base? How’s your exercise? It’s such an individual thing. Remember, too, that liquid calories are an issue. No matter who you are, they may be inhibiting your ability to lose the weight you want. Chew your food, don’t drink it. Now, that being said, the RecoverMe philosophy holds that if you’re healthy in other aspects of life, i.e. physically, mentally, cognitively, emotionally, and spiritually, having an energy drink may not adversely affect you. I’m not going to necessarily tell you to never have an energy drink again. I would be lying to you if I didn’t tell you I drink one once in a while. But our bodies need to be trained to recover from them, so make sure you’re not over-doing it. Until next time, remember, RecoverMe meets you where you are. To learn more about the RecoverMe philosophy, I invite you to check out my newest book, Obtainable. We can’t always change our stressors, but we can certainly change the way our body and mind deal with them. Want a Quick, Easy, and Free Way to Feel Better Today? Get the facts about water and how this one amazing—and free—substance can impact every area of your body and health.